For fifteen years F. A. Sheppard has been a still and video photographer, with clients such as Tommy Hilfiger, RH Macy's and Related Companies. Also he has been a curator and gallery director in NYC where he sought out paintings, drawings and photography that inspired on a personal, intimate level for hundreds of collectors and corporate clients. 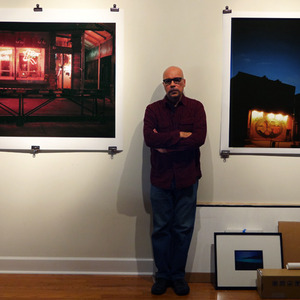 Recently he has become keenly interested in creating photography that elevates unremarkable locations and buildings "” as seen by daylight "” to large, dramatic, spellbinding images at night that move the viewer with light, color and often a sense of nostalgia that is distinctly, authentically American.